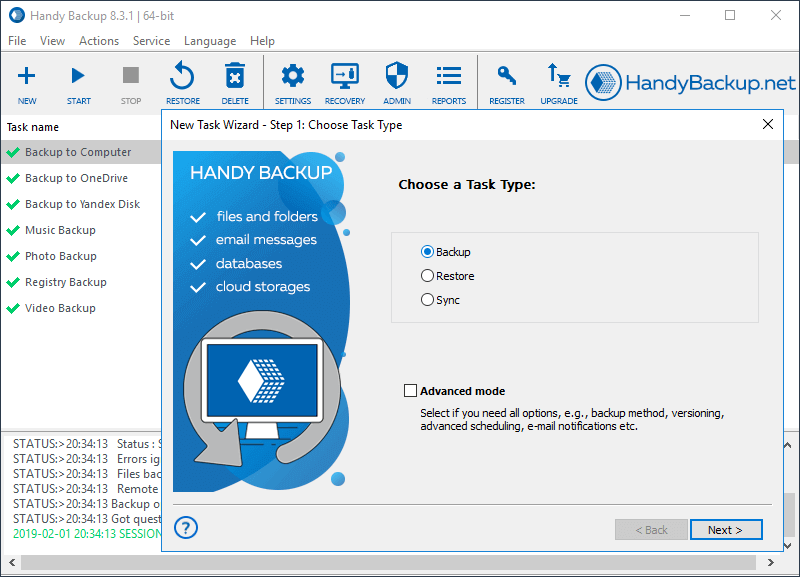 Handy Backup Professional is a powerful backup solution for home and business. The program provides backup for files, folders, e-mails, Windows libraries, registry, ODBC-driven databases and other valuable data. 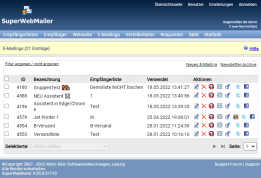 It also uses IMAP to backup webmail (Gmail, Outlook.com, Yahoo!Mail and other). To store backups, it utilizes plug-ins for local and external HDDs, USB, LAN, FTP/SFTP/FTPS, S3, WebDAV and popular cloud destinations (such as Google Drive, OneDrive, OneDrive for Business, Dropbox and Amazon S3), with ZIP compression, 128-bit encryption and scheduling. Handy Backup Professional can work "silently" as Windows service, supports command line interface, e-mail notifications and creates detailed logs and reports about its activities. Users can always add to the list of program functions by purchasing additional plug-ins for SQL databases, virtual machines and storage solutions. In 2012, Handy Backup received the "Best Small Business App" award from PCMag.